You know how the saying goes “out with the old, in with the new” and we refer to it whenever we want to make certain changes in our lifestyles but then end up getting back to the old ways of life, turning to the incorrigible habits. 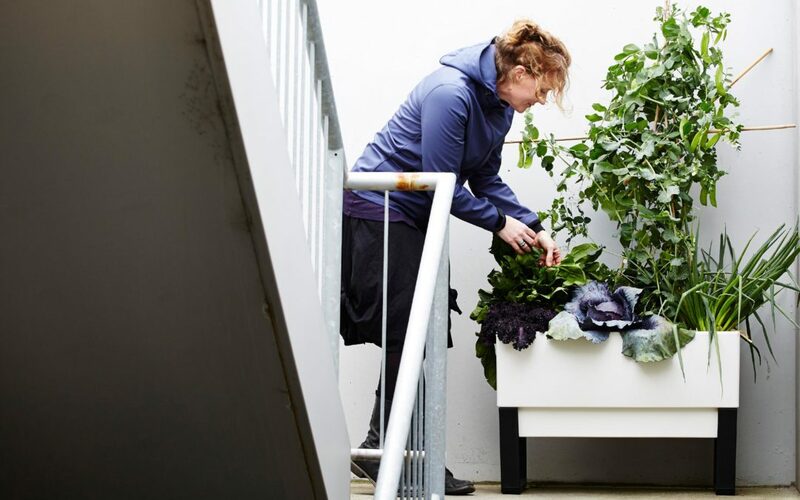 Well, there’s the perfect combination of both old and new that could be the groundbreaking change you’ve been hoping for: the chance to grown your own food in the comfort of your home – it’s one you’d grow to love and not give up on. It sure sounds too good to be true because usually we picture the lovely blooming garden outdoors when it comes to taking up gardening, but nowadays since there’s a shift in preferences considering most of us prefer the perks and opportunities of living in cities and this logically results in packed up cityscapes and barely any space for greenery, gardening got susceptible to evolution too. 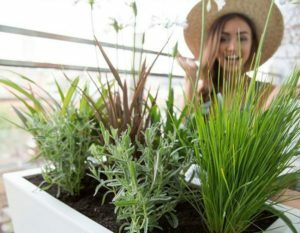 With the help of modern planters and pots, some of which are based on the self-watering ingenious design, there’s no excuse not to become a gardener anymore and try out your green thumb skills. You’ve seen self-taught cooks making it big worldwide, in the likes of Jamie Oliver and Bill Granger, and you’ve probably seen the importance they place on vegetables. Have you also noticed the trend of engaging in gardening at home? Gardening can be considerably cost-effective as opposed to buying groceries, particularly over an extended period, as you get to invest in seeds that don’t cost much (bonus quality and taste points if you choose non-hybrid heirloom seeds) and you’d always have fresh produce on your plate, no matter whether it’s vegetables, fruits or herbs. 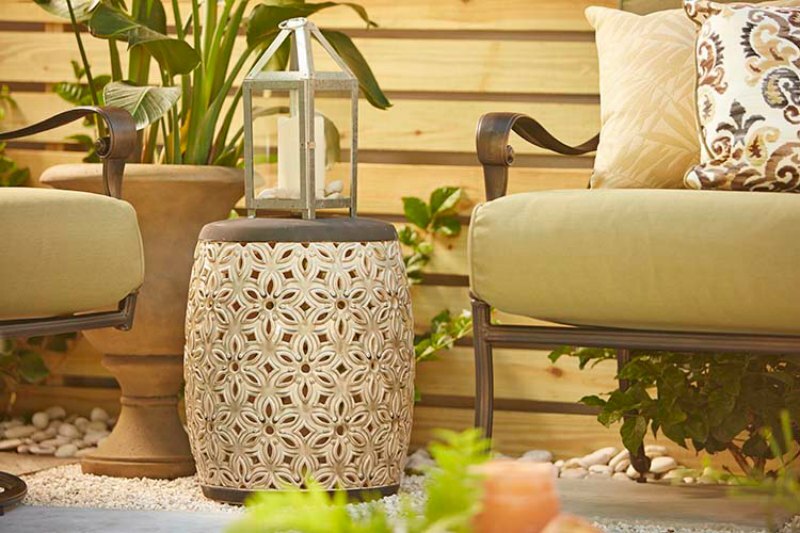 Some of the choices of modern planters and pots you’d come across are specifically designed to be of help to the urban gardener, and fit for every space of the home, or better yet every corner considering there are also mini versions that still have the self-watering concept. The great thing about such planters is they rid you of the watering chores and you won’t have to worry about over watering or not watering enough since roots get the amount of water they need through the wicking system. Apart from being functional, they’re also stylish and can be the perfect decorating elements when you want to spice up the interior as they can also serve as room dividers when connected. Along with cost-effectiveness, making urban gardening part of your lifestyle is particularly beneficial when it comes to your overall well-being and having the peace of mind never having to worry again about what all ends up on your plate, and whether or not it’s full of toxins. Planet Earth gets to benefit from this as well since the home gardening without the use of pesticides and herbicides results in reduction of the environmental impact as you don’t add to the water and air pollution. So, if you want to go in the footsteps of ancestors with growing your own food yet reap the benefits of modern inventions, don’t wait up to become an urban gardener. I’m in a DIY craze! I’ve been meaning to pay my garden more attention for quite some time now as I figured my entire plant collection needs refreshing. A few days ago I decided to do some creative gardening and create some rather fancy-looking planters which will refresh my outdoor landscape. Plus, this way I got to hang out with my daughters and have some fun together as they also love gardening. We’re all in love with vintage objects, so we gathered a bunch of old stuff that we had in the basement and tried to make good use of all the wooden and metal buckets, ladders and boxes. We divided our responsibilities: the girls were responsible to think of ways to use what we had on disposal, and I had to make a new planter mixture with fresh soil and add nutrients. I bought a few gardening products that I needed for the process and started doing what I love most. 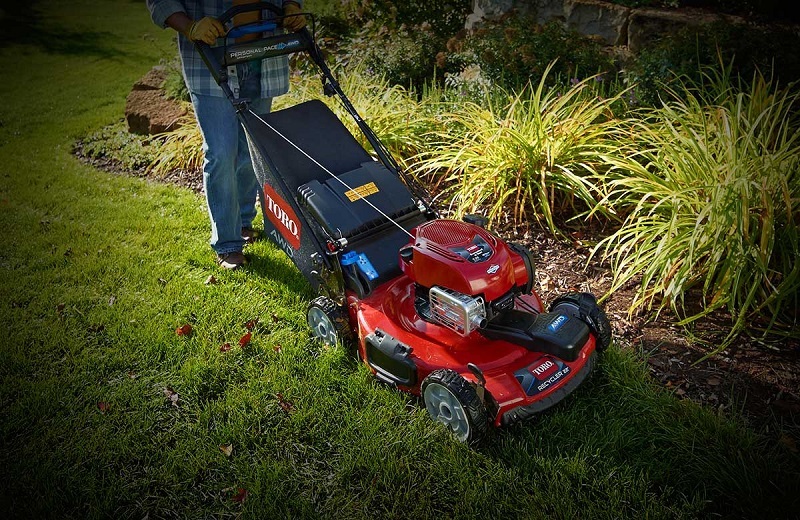 When it comes to taking care of a garden, a number of gardening tools are needed. You can’t call yourself a gardener if you don’t have some handy tools in your garden denim jumpsuit. As a matter of fact, if you don’t have them, make sure you search for high quality gardening products online or offline and stash your gardening toolbox. From a patch helper for harvesting, to a gardening knife and secateurs, the basics are a must for any gardener. The girls came up with some pretty amazing ideas. They used an old, vintage-like door, painted it in pastel pink and placed it in a corner in our backyard. They chose a few small metal buckets which I filled with a planter mixture and planted yellow flowers. The combination of colours was just amazing and very summer-ish. Next thing we did was dismantle an old, large drawer cabinet I inherited from my grandmother. Although beautiful, it was very bulky and couldn’t be restored, so I had to store it in the basement. We took the small drawers out and used them as planters; I put the planter mixture in it, planted the greenery, and the planters were ready. We placed them on an old ladder (those made of wood and used by painters) and this turned out to be the perfect vintage decoration for out patio. Finally, I used some old coffee cups I found, which were a little broken and couldn’t be used anymore. On another wooden ladder I placed the small cups, which now serve as small planters, and decorated the other part of my patio. The entire picture resembles a vintage paradise – with all that old wood, greenery, the pop of colour here and there and the metal buckets. We did some pretty creative work. What is important here is to remember to trim your plants, the ones that you’ll be re-planting in another pot and to make sure your soil has the needed nutrients. And of course, make sure to water them daily. Regardless of how much we love our homes, we’re creatures who are connected with nature. In the very beginnings of humankind, the great ancestors had only nature to rely on to sustain their lives so we might as well say this kind of connection is sort of innate. Nowadays though, being part of the technological environment, most of the lifestyles of modern individuals are based on being in the company of electronics, confined to an enclosed space either at work or at home, which is being proved time and time again as a threat for the overall health. Instead of choosing to binge-watch TV, we should all turn to our roots and spend more time in the company of nature and what better way to do so than by starting from our very homes, that is, our outdoor areas. We all know that the urban lifestyle has robbed us of many precious activities and possibilities, including the one of having and caring for our own edible garden. Some of the millions of urban dwellers have never had the chance to see where and how their food grows, which is one of the countless reasons people have started using their creativity (as well as their cramped city apartments and balconies) to take control of what’s on their plate. 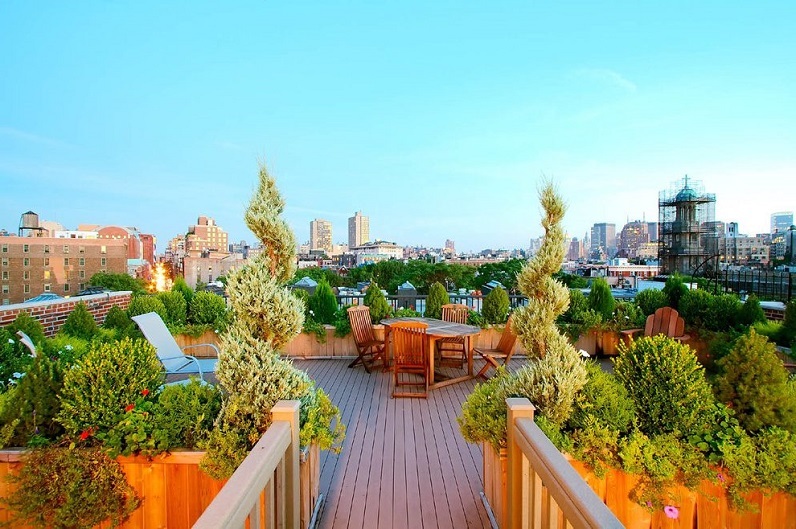 Yes, I’m talking about the popular and relatively new practice of urban gardening. Nowadays, more and more nature lovers and gardening enthusiasts who live and work in a big city are cultivating a wide variety of fruits and vegetables, both indoors and outdoors, using hanging baskets, window boxes, trellises, and self-watering vegetable growing containers. These are perhaps four of the easiest and smartest ways of utilizing small city spaces and turning them into bountiful urban gardens. 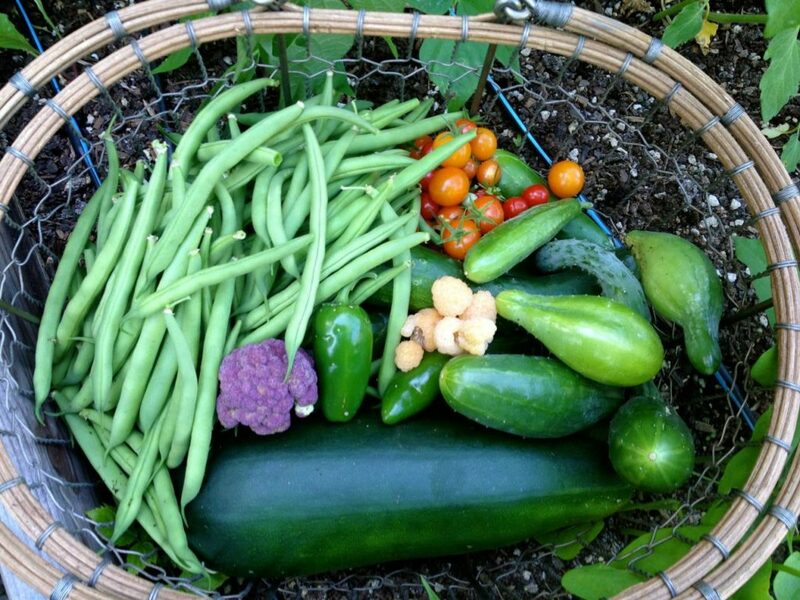 When it comes to growing edible plants successfully, knowledgeable gardeners will advise you not to be hasty when choosing the fruits and vegetables you and your loved ones wish to plant and eat, as some of them are very difficult to take care of, especially for beginners and individuals with a busy daily routine. So, if you are eager to experience the joy of looking after your own garden for the very first time in your life, then I believe that you should start with several easy-to-grow-and-maintain edible plants and slowly work your way up from there. Strawberries and tomatoes are, in my opinion, the most rewarding fruit plants a person could devote their time and energy to (that’s right, tomatoes are fruit), for they both usually yield a large number of fruits. Yes, they do need regular watering and rich & warm soil in order to thrive, but trust me, once you get the hang of them, you will be glad you made them a part of your beloved urban garden. However, a few strawberry and cherry tomato planters are simply not enough to satisfy your dietary needs. That’s why you might want to consider the option of buying several vegetable growing containers and start cultivating lettuce, beet, kale, and green beans. All of these delicious and extremely healthy veggies can be easily grown both inside and out, which means that nothing stands in your way of planting them and preparing your favourite vegetarian and vegan dishes when they are ready to be harvested. Well, except for your will (or the lack of it). Let me end this article by reminding you that consuming fresh and, if possible, organic produce on a daily basis is immensely important to our overall health. Yes, we can buy such fruits and vegetables at a local farmer’s market, but we all know that they are quite expensive. Growing our own food at home, on the other hand, when done carefully, can prove to be really economical. 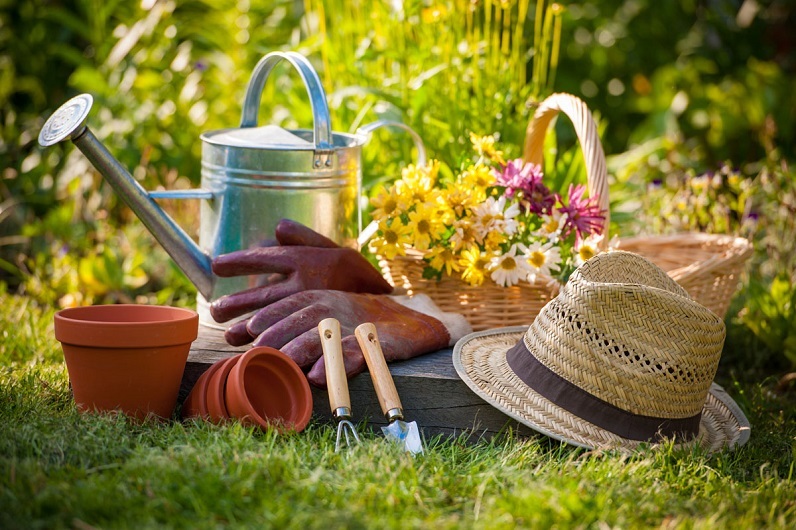 If you have always considered gardening the most relaxing of all hobbies, but you cannot see yourself as the creator of a small green heaven due to certain limitations, such as time and suitable space, you need to stop and take a second look. I bet you’ve noticed that some people do manage to grow beautiful plants on their balconies. You think that this is all due to a tight schedule and robotic routine? Wrong. Sometimes our insecurities and lack of information get the best of us and we miss out on great solutions and ideas. The future is now. We may not all be able to own a decent piece of land, but we can surely take advantage of one great invention of the 21st century – the self watering planters.